Tax isn’t just about filing your returns and paying your liability on time! As Accountants we can of course do all of this for you. Tax laws are constantly changing, and there are thousands of them! covering Income Tax; Corporation Tax; VAT; Paye & National Insurance; Capital Gains tax; Inhertitance tax & Stamp duty Land Tax….!! 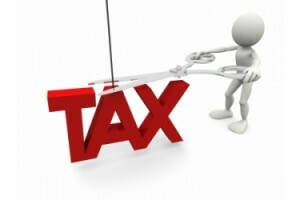 We can advise on the most tax efficient strategies so YOU keep more of what you earn! Paying less tax and maximising the wealth you have created is important when you work as hard as you do. Income Tax Self Assessment regulations require taxpayer’s to complete & submit an Income Tax Return and pay by the due date. Failure to do this can result in serious penalties and interest. We’ll make sure your tax liability is minimised efficiently through our vast knowledge of what you can claim for! Corporation Tax (Limited companies) This is another complex area of tax legislation. We’ll ensure this is calculated with reference to you maximising what you take out of your company! VAT (Value Added Tax) We can of course prepare and submit your Vat returns for you allowing you to get on with running your business. VAT legislation can be complex and we are experts when it comes to minimising Vat liabilities in areas such as property which can prove very expensive if the laws aren’t adhered to! Pay as you Earn (PAYE) & National Insurance Often taken for granted in the sense businesses employ staff and they deduct tax & NI! We’ll structure your payroll costs to ensure all the available benefits and relief’s are taken into account to minimise these taxes that can often make a big dent in your profits! Capital Gains Tax or “CGT” This is often a tax area overlooked by most. The key here is planning ahead to ensure your assets are disposed of in a timely manner and ensuring all the available reliefs are used in minimising CGT! We can even take advantage of CGT by structuring your business efficiently so you can take more out! Inheritance Tax or “IHT” When you work as hard as you do, it is essential that the wealth you have created benefits not only you, but those you would wish to pass it on to. Planning for the future is essential to avoid significant Inheritance Tax liabilities. We’ll devise a tax planning strategy to help you plan and pass on your wealth without the tax hit! SDLT (Stamp Duty Land Tax) Another complex area that can catch out the unwary. We’ll make sure this tax never catches you out! Check out some important dates for your diary .